Abstract: Direct torque control of induction motors has achieved a quick torque response. It is very sensitive to flux estimation (magnitude and orientation). The flux estimation is affected by parameters variation. These parameters are affecting saturation, temperature, and skin effect. The mismatching between the parameters value used in the controller and those in the motor make the actual rotor flux position does not coincide with the position assumed by the controller. Any parameter mismatched in flux estimation will be detrimentally affect the torque response and then on the dynamic performance. So this paper shows the effect of mismatching in rotor reactance between the control model and the machine itself on the performance characteristics of induction motor through applying the direct torque control. The rotor reactance is chosen due to have more effect on the instantaneous slip speed. To show this effect, the mismatching case is compared to matching case and with scalar control. MATLAB program is used to simulate these cases. Keywords: Direct torque control, Induction motor, Rotor reactance error, Scalar controls. 1. M.D. Murphy, F.G Turnball Power electronic control of A.C motors, Pergamon press, 1986. 2. Bose B.K: Power Electronics and Variable Frequency Drives, IEEE Press, 1997. 3. W.B Rosink, “Analogue control system for A.C motor with PWM variable speed,” in proceedings of Electronic Components and Application, vol. 3, no. 1, pp. 6-15, May 1980. 4. B.G. Starr, J.C.F. Van Loon, “LSI circuit for AC motor speed control,” in proceedings of Electronic Components and Application, vol. 2, no. 4, pp. 219-229, August 1980. 5. F. Blaschke, “The Principle of Field Orientation Applied to the New Transvector Closed-Loop Control System for Rotating Field Machines,” Siemens-Rev., vol. 39, pp. 217–220, 1972. 6. W. Leonhard, “Field Orientation for Controlling AC Machines Principle and Application,” A tutorial, IEE conf. on power electronic variable speed drives conf. pub. No. 291, London, pp. 277-282,1988. 7. R.Krishnan, F.C. Doran, “Study of parameter sensitivity in high performance and inverter fed Induction motor drive system,” IEEE Transactions on Industry Applications. Vol. IA-23 No.4, pp.623-635, 1986. 8. R. Krishnan, A.S. Bhardawaj, “A Review of Parameter sensitivity and adaptation in Industrial vector controlled Induction motor drive system,” IEEE Trans. on Power Electronics, Vol.6, No.4, 1991 pp.219-225, 1991. 9. Hamid.A. Toliyat, Emil Levi, Mona Raina, “A Review of RFO Induction motor parameter Estimation Technique,” IEEE Transaction on Energy Conversions, Vol.18, No.2, pp 356-365, 2003. 10. Hamdy Mohamed Soliman, “Studying the Steady State Performance Characteristics of Induction Motor with Field Oriented Control Comparing to Scalar Control,” EJERS, European Journal of Engineering Research and Science, Vol. 1, No. 2, pp 18-25, 2016. 11. G. Buja et al., Direct torque control of induction motor drives, IEEE ISIE Conf. Rec., pp. TU2–TU8, 1997. 12. Burak Ozpineci, L.M.Tolbertr, Simulink Implementation of Induction Machine Model-A modular approach, IEEE Trans. 2003. Abstract: Road congestion, parking difficulty, and collision is very prominent in advanced and developing countries. Intelligent Transport Systems (ITS), with wireless technique has solution to these problems through the application of vehicular technology. The wireless deployment, safety and non-safety applications in vehicular communications can be achieved with proper implementation of network metrics. It is very clear and of no doubt that more research in wireless applications for vehicular networks is on the increase due its application in this modern era. Dedicated Short Range Communication (DSRC) has paved way for these applications in informatics, parking/congestion control, and safety application via the knowledge of the ITS. In this paper, we have made investigations on some performance metrics that have impact in the analysis of vehicular communications. We will use these metrics in our future work, to analysis the performance of vehicle networks with other rate algorithms using OMNET++ as implemented here. 1. A. Muhtadi, D. Perdana and , R. Munadi , “Evaluation of AODV, DSDV, and ZRP Using Vehicular Traffic Load Balancing Scheme on VANETs”, Ijssst, vol. 16, issue 3, pp 1-7, March 2013. 2. H.Lim, J. lee, and K.Yongjin , “Mobile user context Awareness model using a novelty contextual-soundscape information” ,7th International Conference on Intelligent Systems, Modelling and Simulation, Cambridge ,pp.1-7, April 2016. 3. J. Guo, and N. Balon, “ Vehicular Ad Hoc Networks and Dedicated Short-Range Communication”, University of Michigan, Dearborn.pp.7-14,June 2006. 4. M. M Castro, “Metrics to Evaluate Network Robustness in Telecommunication Networks”, University of Strathclyde , pp. 13-20, May 25, 2011. 5. Xia. , R Gao, L. Wang, and R Hao, “Real-Time Performance Analysis of Infrastructure-based IEEE 802.11 Distributed Coordination Function”, School of Software, Dalian University, China. pp. 1-3, Dec 2011. 6. W.Alasmary, and W.Zhuang, “ Mobility impact in IEEE 802.11p infrastructureless vehicular networks”, University of Waterloo, Canada, pp.2-4, 2010. 7. Y.Wang ,A.Ahmaed ,B.Krsihnamachri , and K.Psounis , “IEEE 02.11p Performance Evaluation and Protocol Enhancement ”, Viterbi School of Engineering University of Southern California Los Angeles, CA 90089, USA. pp.1-6, , IEEE explore, Sept 2008. 8. P.Shankar, T.Nadeem, J.Rosca, l.Iftode, “CARS: Context Aware Rate Selection for Vehicular Networks” Department of Computer Science, Rutgers University, pp.1-6, Oct 2008. 9. T. Hewer, “High Performance Simulation and Modelling of Wireless Vehicular Ad-Hoc Networks", pp. 3-5 August 2011. 10. Bianchi, “Performance Analysis of the IEEE 802.11 Distributed Coordination Function", IEEE Journal on selected areas in communications, vol. 18,pp. 535-547, March 2000. 11. W. R. M. M. Artimy and W. J. Phillips, “Assignment of Dynamic Transmission Range Based on Estimation of Vehicle Density", ACM, pp. 40-48, 2005. 12. P. Sommer. “Design and Analysis of Realistic Mobility Models for Wireless Mesh Networks", pp. 1-4, September 2007. 13. 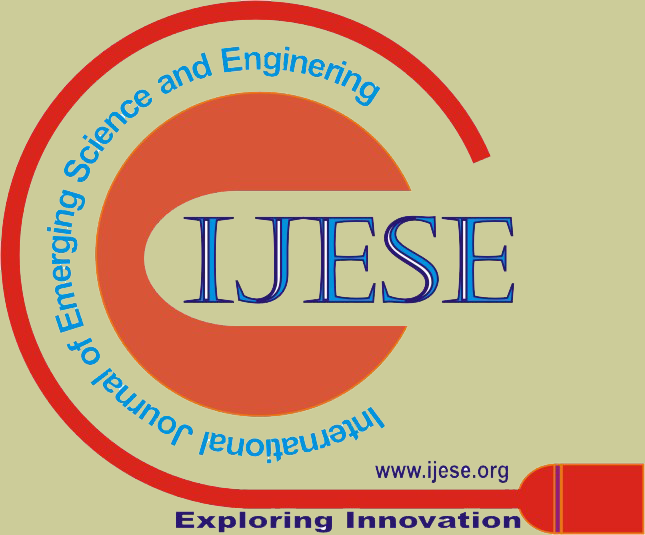 Almohammedi et al, “Evaluating the Impact of Transmission Range on the Performance of VANET”, in International Journal of Electrical and Computer Engineering (IJECE), Vol 6, No 2, pp. 800-809, 2016. Abstract: In the modern era of computing, object recognition form a deeply entrenched and omnipresent component of intelligent social systems. With data and information accumulating in abundance, there is a crucial need for high security. Biometrics has now received more attention. Face biometrics, useful for a person’s authentication is a simple and non-intrusive method that recognizes face in complex multidimensional visual model and develops a computational model for it. In this work we presented a novel Face Recognition feature selection system, FARFE, based on combination of Particle Swarm Optimization (PSO) and Oriented FAST Rotated Brief (ORB). The proposed PSO and ORB based feature selection system is utilized to search the feature space for the optimal feature subset where features are carefully selected according to a well-defined discrimination criterion. The classifier performance and the length of selected feature vector are considered for performance evaluation using MATLAB in ORL face database. 2. Roble, D. (1999). Vision in film and special effects, Computer Graphics, 33(4):58–60. 3. Rabab M. Ramadan and Rehab F. Abdel – Kader, “Face Recognition Using Particle Swarm Optimization-Based Selected Features”, International Journal of Signal Processing, Image Processing and Pattern Recognition, Volume 2, No. 2, June 2009. 4. V. Vijayakumari, “Face Recognition Techniques: A Survey”, World Journal of Computer Application and Technology 1(2): 41-50, 2013. (ETCSIT2012) Proceedings published in International Journal of Computer Applications (IJCA), 2012. 6. Rabab M. Ramadan and Rehab F. Abdel, Face Recognition Using Particle Swarm Optimization-Based Selected Features. 2009. 8. Jianke Zhu, “A Fast 2D Shape Recovery Approach by Fusing Features and Appearance”, IEEE Transactions on Pattern Analysis and Machine Intelligence, Volume 31, Issue 7, 2009. 9. Yun Fu, “Age Synthesis and Estimation via Faces: A Survey, IEEE Conference Publications, PP. 2590 – 2597, 2010. 10. Zhang. D and Y. Wang, "Gender Recognition Based on Fusion of Face and Multi-view Gait", In LNCS, volume 5558, PP. 1010-1018, Springer, 2009. 11. Gao, B. Cao, X. Zhang and D. Zhao, "The CAS-PEAL large-scale Chinese face database and baseline evaluations", IEEE Transactions on Systems, Man, and Cybernetics - Part A: Systems and Humans, Volume: 38, Issue: 1, PP. 149 – 161, January 2008. 12. M. Calonder, V. Lepetit, C. Strecha, and P. Fua, Brief: Binary robust independent elementary features, In European Conference on Computer Vision, 2010. Abstract: In rotating machinery, automobiles and aerospace, rolling element ball bearing are in common. For frictionless and continuous running bearing is lubricated with grease and oil, Grease are contaminated with various solid and liquid particles. This is one of the major reasons for bearing failures. When Ball bearing gets operated in contaminated conditions, particles of dirt may enter the bearing, the generated vibration and vibration level being dependent on the amount, the size and the composition of the entering contaminant particles. Some manufacturers state that in this case, no typical frequency pattern is generated, although an audible and disturbing noise may be created. Solid contamination is an important question related to the monitoring of rolling bearing performance because of its action on fatigue failure acceleration resulting from surface denting. In this respect, this project work deals with the effect of contamination of lubricant by solid particles on the dynamic behavior of rolling bearings. Generally different materials such as Silica, metal-burr, dolomite-powder, and iron-ore, all at three concentration levels and different particle sizes were used to contaminate the lubricant. Here metal-burr is used as a contaminant. Experimental tests have been performed on the 6207 deep groove ball bearings lubricated with grease, here we analyze and study the effect of solid contaminants in lubrication through vibration, shock pulse and temperature measurement. The trends in the amount of vibration affected by the contamination of the grease were determined. The contaminant concentration as well as the particle size is varied for each test. Vibration signatures were analyzed with respect to root mean square (RMS) values of amplitude in terms of velocity, shock pulse in terms of pulse per seconds, temperature in terms of °C and what is the effect of contaminants on the performance of ball bearing, determined. Keywords: 6207 deep groove ball bearings, solid contamination, greases, vibration, shock pulse and temperature. 1. R. B. Randall. (2011). Vibration-based Condition Monitoring. First ed., Illinois: John Wiley & Sons, Ltd, Publication. 2. Reza golafshan, (2015) “VIBRATION-BASED FAULT DETECTION FOR BALL BEARINGS”. 3. JuhaMiettinen & Peter Anderson, “Acoustic emission of rolling bearings lubricated with contaminated grease.” Tribology International 33 (2000) 777–787. 4. "ISO 13373-1 Condition monitoring and diagnostics of machines – Vibration Condition monitoring" In International Standards Office, London: HMSO, 2002. 5. Lugt PM. “Grease lubrication in rolling bearings”, John Wiley & Sons, Ltd.; 2013 (Tribology series). 7. M.M. Maru, R.S. Castillo, “Study of solid contamination in ball bearings through vibration and wear analyses”, Tribology International 40 (2007) 433–440. 8. Castillo, R.S., Maru, M.M. &Padovese, L.R., “Effect of lubricant oil viscosity and contamination on the mechanical signature of roller Bearings”, Twelfth International Congress on Sound and Vibration, Lisbon, 11-14th July 2005.